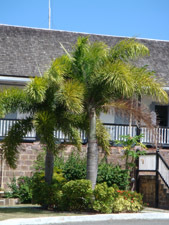 As you can see, there is an incredible view across English Harbour from the salon. 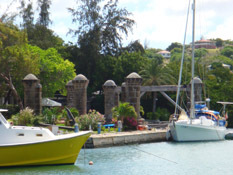 Look a little to the left and you can see Antigua Slipway, which as well as many yacht services incorporates Catherine's Café and Johnny Coconat, both great venues for a delicious lunchtime treat (and some evenings too). 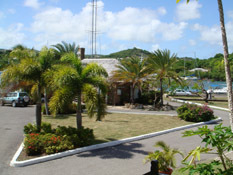 Nelson's Dockyard itself is part of the Nelson's Dockyard National Park, which also includes Shirley Heights, where you can enjoy a panoramic view over the harbour and enjoy a steelband at sunset twice a week, and the Interpretation Centre, which incorporates a multimedia centre depicting much of the history of the island. Within the dockard itself, there are a variety of places for shopping, eating and of cultural interest. For the latter, it's definitely worth a visit to the Dockyard Museum, where the story is told of this historical Georgian dockyard. 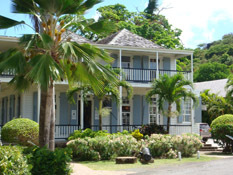 There is also a library containing copies of original documents and a database of Caribbean naval history, available for researchers, and a shop, the Dockyard Gift Shop. If you feel like a little more shopping, you can find beautiful clothes at the Galley Boutique, as well as some jewelry, shoes, accessories and toys. 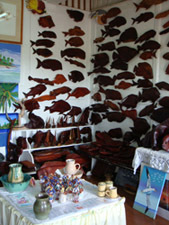 Things Local sells stunning, locally hand carved wooden sculptures, and you can find ceramics and, as belies its name, many other local items at Dockyard Pottery. When you're hungry after all that browsing, you can sit at Hamilton's Wine Bar and Bistro on the first floor of the Officers' Quarters, just along from AKPARO and with the same stunning view over the harbour. 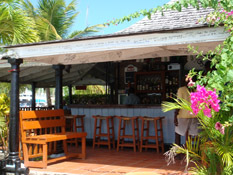 Go to the Dockyard Bakery for a sandwich and other freshly baked delicacies, or relax with a drink and a quick bite at the Galley Bar. 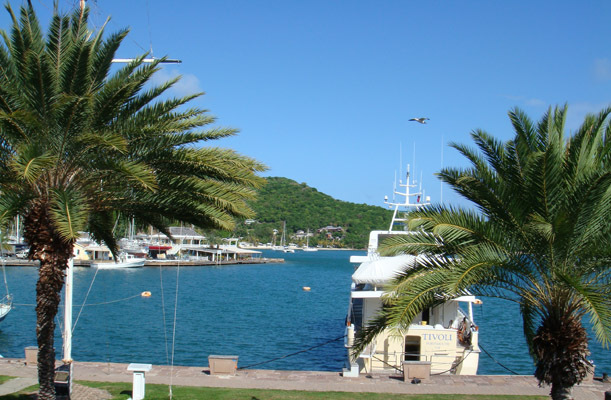 Sunsail arrange boat charters; A&F Sails make and repair sails as well as creating awnings and hurricane shutters; Signal Locker focus on system engineering and marine equipment. The newest arrival is e3, who specialise in superyacht electronics, communication, entertainment, IT, navigation and safety. If you don't want to leave the dockyard at all, you don't have to: there are even two hotels here, the newly refurbished Admiral's Inn and the Copper and Lumber Store Hotel, both of which also have restaurants which are available to all. And ready to capture all your precious memories while you're here (or sell you a great t-shirt), Photo Fantasy also offer an ad hoc portrait service and can cover events and celebrations.